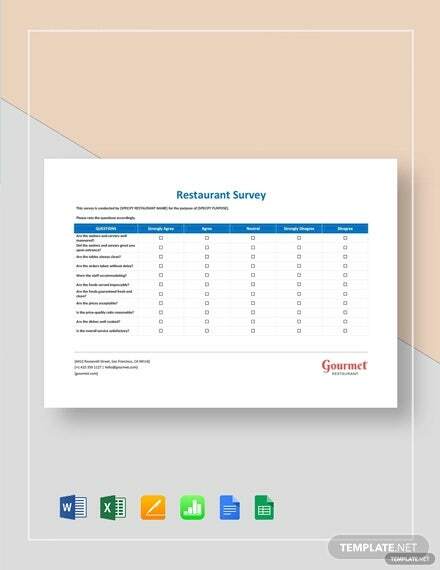 Running a restaurant requires the expertise of the “four seasons of a vendor.” These survey templates allow you to expand your expertise area considerably, check them in a word, excel and PDF format. Pick the right thing for the right season and attach it to your menu card. You can find some amazing samples where the output of the survey will give you this idea that you are actually reading the mind of a customer. 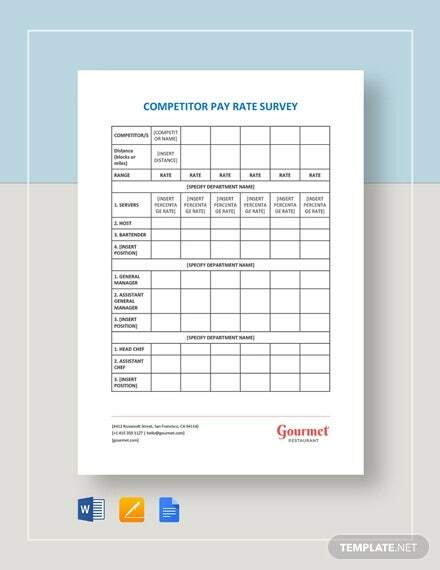 You may see Customer Satisfaction Survey Template. 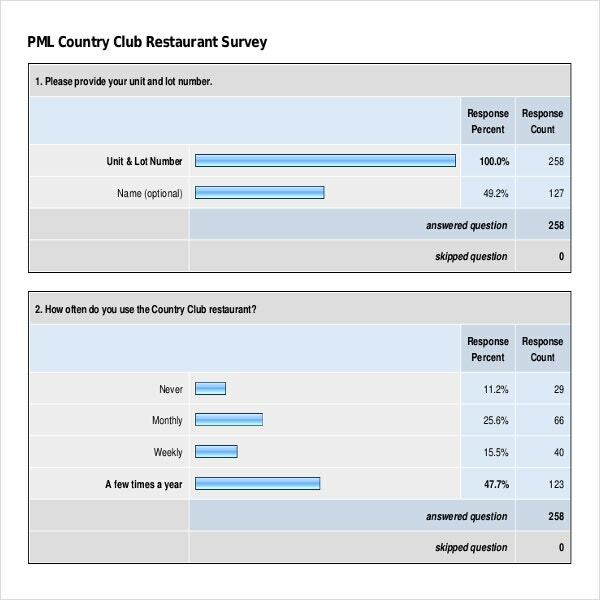 Restaurant survey sample can generate new leads for you; it can give you an idea about your further game plans. For example during a particular survey, you can ask your customers about their Desired Party Survey Themes for the next weekends. If you follow their advice then next time you have a very strong reason to invite them to your place. 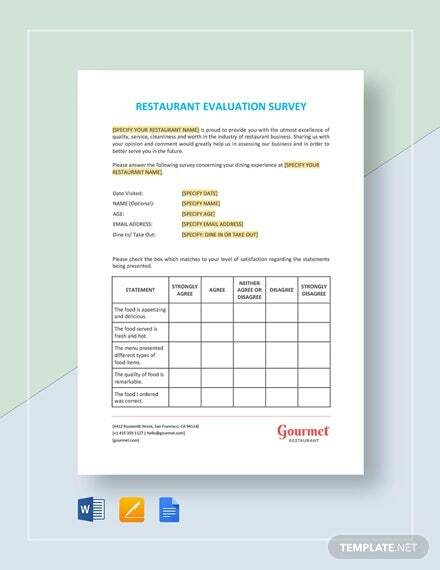 The Restaurant survey templates are used by restaurants, cafes, coffee shops, pubs, lounges, eateries and any other establishments that provide food and beverage services to customers. Besides the above mentioned list, bloggers who run restaurant review blogs, food critics, journalists and various others also use the restaurant survey templates to quickly jot down their experiences while dining or eating at a specific restaurant that they are reviewing. The main purpose behind the restaurant survey is to analyse and understand customers and clients behaviour and reaction towards the food, service and ambience of the restaurant. 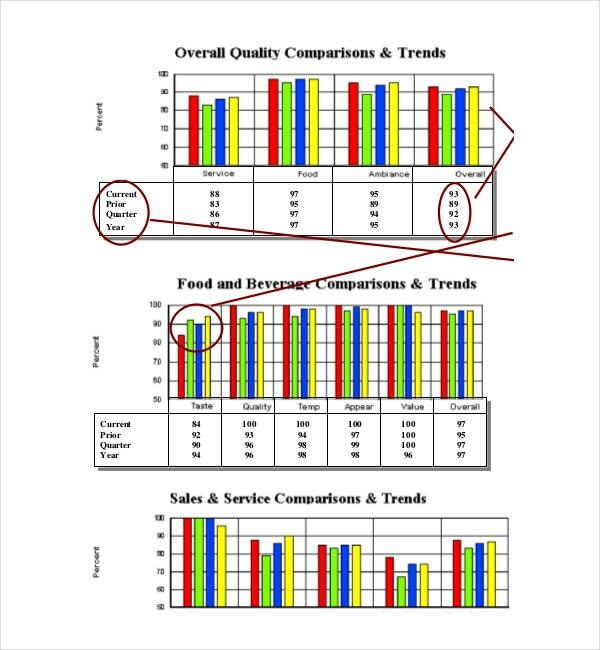 Besides this, the restaurant surveys are also used for the purpose of gathering data and information about the services of the restaurant, quality of food and other relevant info so that food critics, blogger, magazines etc. 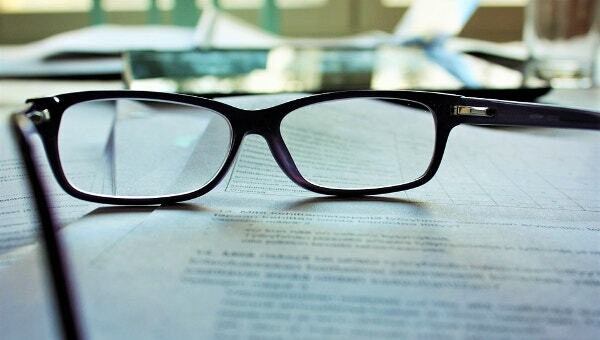 can use them for referrals and writing up an article. 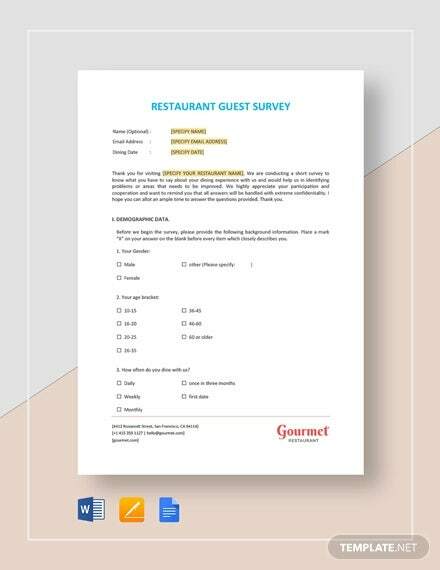 The restaurant surveys help the restaurateurs and café owners to improvise their services, quality of food, ambience and other things to suit the needs and requirements of their customers and clients. 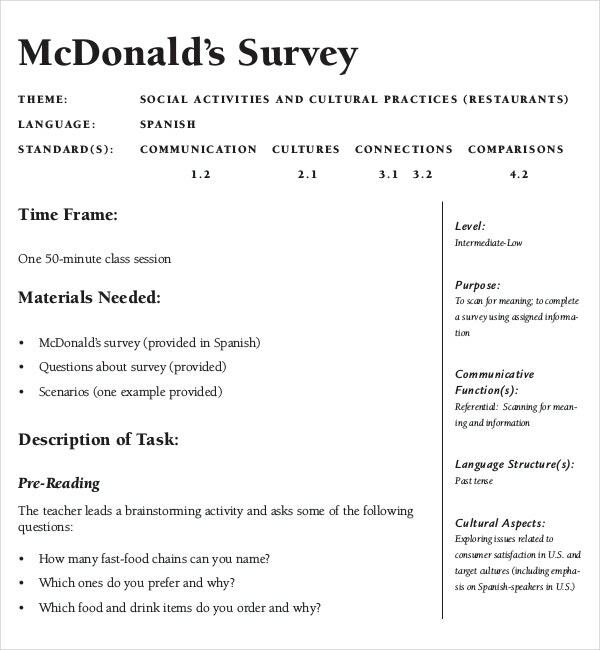 The surveys help the survey conductors in analysing the shortcomings and benefits of the restaurants. 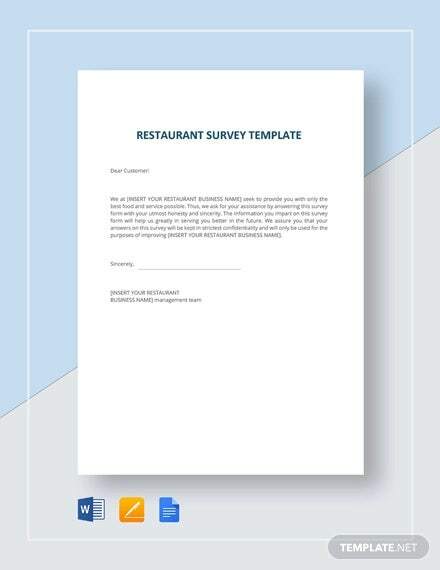 Most of the restaurant survey templates are ready to use. They have pre-enlisted questions and check boxes near them. 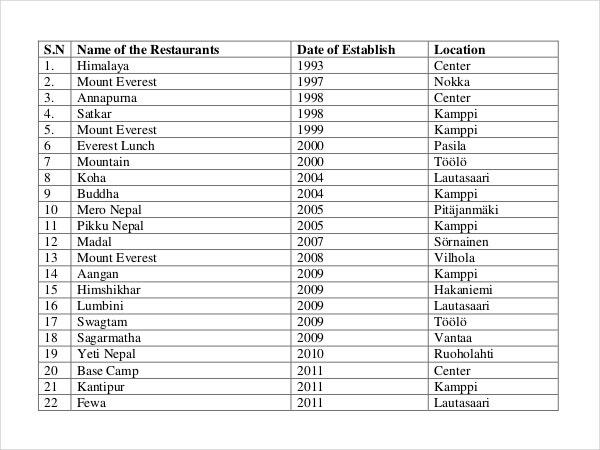 You can personalize the templates by adding your logo or the name of the restaurant to them. The templates can be downloaded and opened in Word or PDF formats. The sure by conductor can either email the survey template to customers or present it to them at the end of their meal along with the bill. 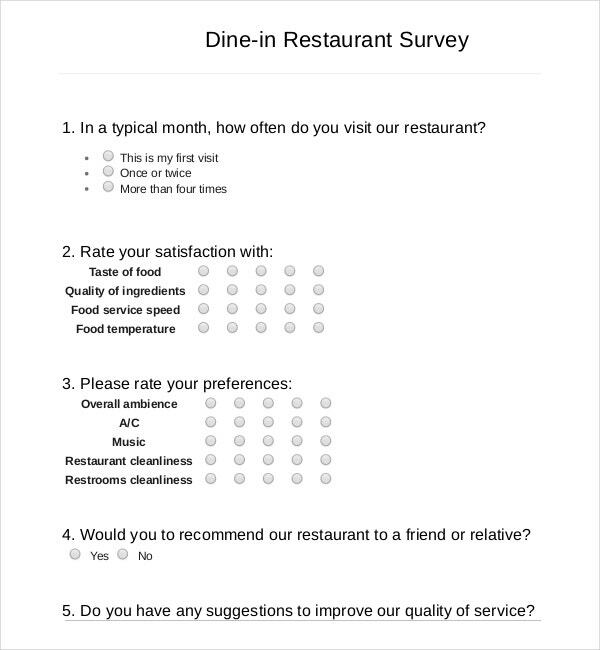 There are various types of restaurant survey templates available. 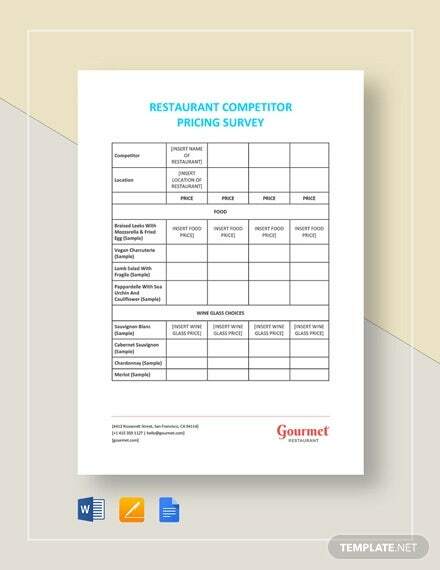 There are the standard restaurant survey templates that allow the conductor to analyse how satisfied the patrons were with their meal and the overall ambience and services provided by the restaurant. 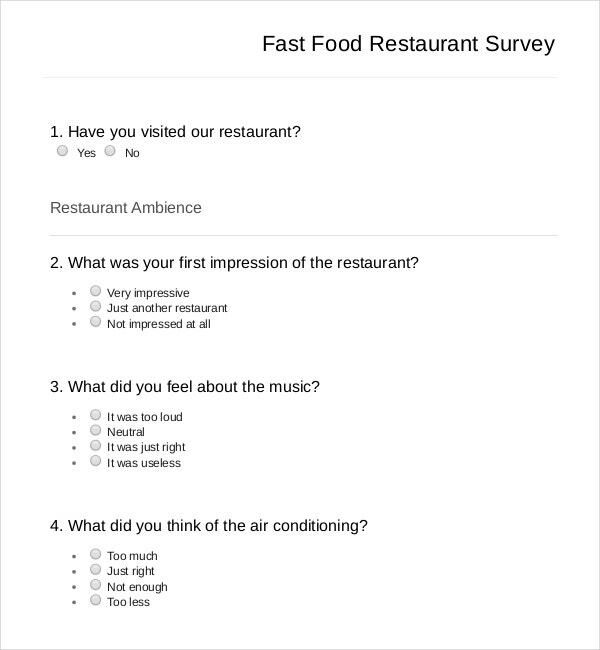 There are also slightly tweaked surveys that help in analysing what kind of themes patrons would like the restaurant to have on weekends or on festivals and so on. So when choosing a template, choose one that has a list of questions that are closest to the kind of survey you wish to conduct.